His latest book promises to be "a journey into the dark heart of fame and the demons that lurk beneath"
Being no stranger to the written word, Moby is set to release a new memoir next year. The book is titled Then It Fell Apart, and it will be published by Faber & Faber on May 2. It will actually mark Moby's second memoir, following 2016's Porcelain. But while that previous book focused on his early career, the upcoming release will find Moby exploring his life and career in the wake of 1999 mega-hit Play. The publisher describes the new book as "a journey into the dark heart of fame and the demons that lurk beneath the bling and bluster of the celebrity lifestyle." A press release adds the following of Moby's post-Play life: "Suddenly he was hanging out with David Bowie and Lou Reed, Christina Ricci and Madonna, taking ecstasy for breakfast (most days), drinking litres of vodka (every day), and sleeping with super models (infrequently). It was a diet that couldn't last. And then it fell apart." 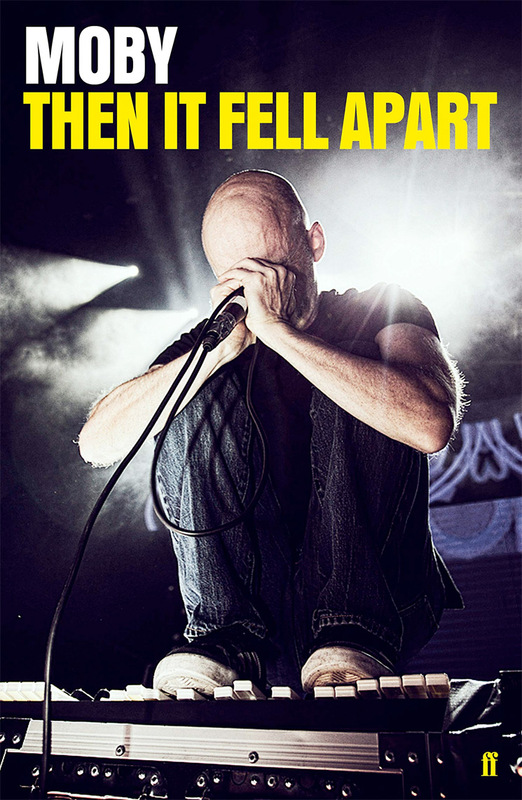 It continues: "The second volume of Moby's memoir is a classic about the banality of fame. It is shocking, riotously entertaining, extreme, and unforgiving. It is unedifying, but you can never tear your eyes away from the page." Then It Fell Apart will contain 416 pages, and it can be pre-ordered here. Moby's most recent album was this year's Everything Was Beautiful, and Nothing Hurt.